This small, historic town has many interesting historic attractions plus a cable car to the top of the Rock of Gibraltar, with amazing views. A British Overseas Territory on the tip of Spain’s southern coast, Gibraltar is dominated by the soaring Rock of Gibraltar, a ridge of limestone 426 metres in height. Like Spain itself, the territory was settled by the Moors during the Middle Ages, but Spain took it back when they defeated the Moors in later battles. In 1713, Gibraltar was ceded to the British. 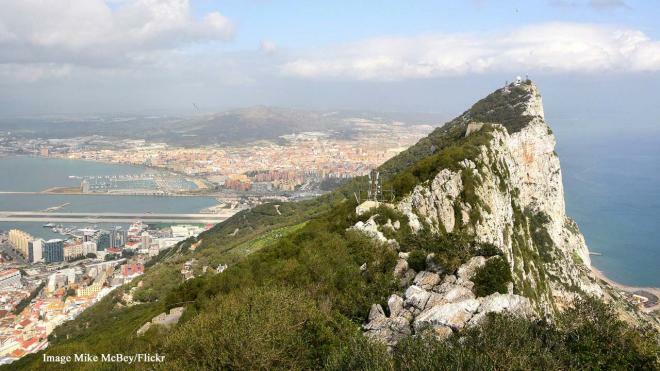 In recent years, Spain has been trying to take Gibraltar back, but without success. While it has up until now been easy to cross the border from Spain into Gibraltar by showing your passport, this could change when Brexit comes into effect, as Spain is saying visas costing £52 will be necessary to travel between the two. Of interest to note, to enter Gibraltar, you actually cross the short runway of the territory's airport! As it is now, a visit to Gibraltar is like a little piece of England, with its fish and chip shops and 1970s hotels. You will even see red pillar boxes as you stroll around and head down High Street and there is also a Morrisons supermarket. There are a number of historic attractions in Gibraltar, a sample of which are listed below. Take a cable car ride up to the top of the Rock of Gibraltar for amazing views across the Strait to Morocco and over Spain. There is a café up there, but beware if you take food away. I personally was robbed of a double-chocolate muffin by the wily Macaque monkeys that live on the rock – a serious crime indeed for a chocaholic! At the same time, a man who had removed his t-shirt due to the heat had that article of clothing stolen by a monkey. Gibraltar was of strategic importance during WW2 and storage space was needed for food and equipment and accommodation of troops. A tunnel system was built to not only give protection during air attacks, but also to store the huge quantities of ammunition, food and other items. 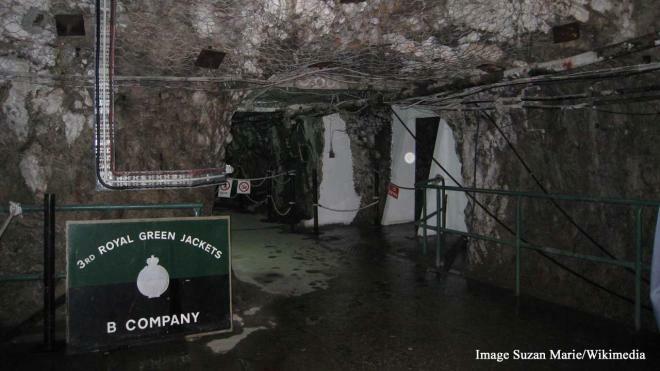 The tunnels became almost an underground city, with space for 16,000 troops. There was a telephone exchange, bakery, hospital, power generating station and water distillation plant in the 34-mile tunnels.